Today we mark the 55th anniversary of a Disneyland attraction very close to my heart. 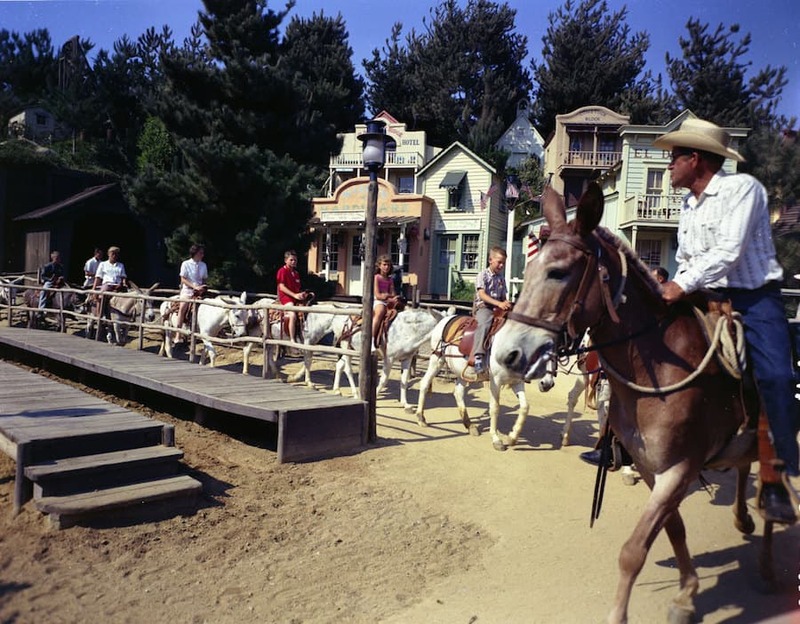 On June 10, 1960, Pack Mules Through Nature’s Wonderland opened in Frontierland. 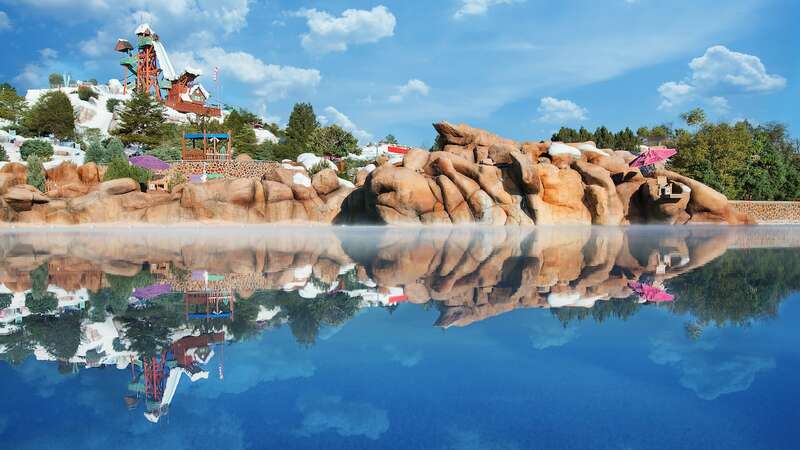 As a child growing up in Anaheim, my family would visit Disneyland several times a year. 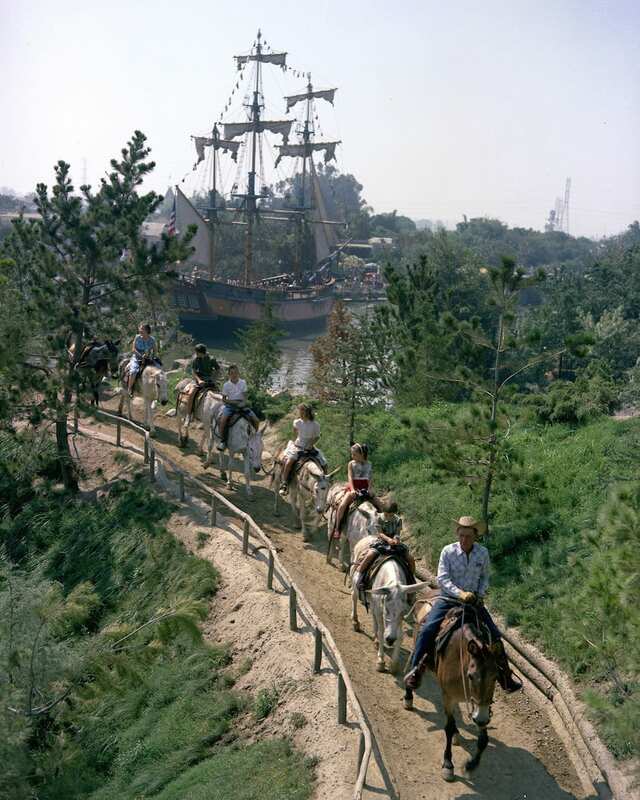 I always asked to go on the mules first. I was excited even standing in the queue, on the wooden planks laid next to the trail, just to be close to these four-legged transports. Once in the saddle, I was transformed, dreaming my own wild west dreams, as the mules carried us over the Frontierland terrain and into the town of Rainbow Ridge. It’s not unrealistic to think that the love I have for horses was born in those moments. 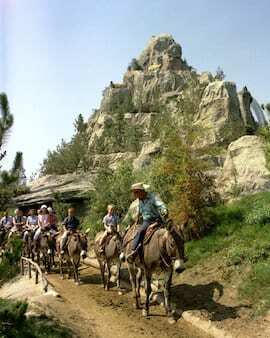 For readers not old enough to have enjoyed the Disneyland mule attraction in one of its three iterations, (Mule Pack from 1955-1959, Rainbow Ridge Pack Mules, and Pack Mules Through Nature’s Wonderland from 1960-1973) you can still share some of the nostalgia when riding on Big Thunder Mountain Railroad. The town of Rainbow Ridge, once home to the mules carrying would-be cowboys and cowgirls like myself, still stands in the shadow of the mountain. We used to love the Frito bandito , I think he should come back. My Dad would wait in line for hours so my little sister could ride these. We would go on other rides while he waited bringing him popcorn or a Mickey ice cream every so often. Never got to ride them since I was too young at the time but I always loved seeing them while riding the Mine Train Through Nature’s Wonderland.